Yesterday mommy pleasantly surprised me after school. If you have been following my adventures for a while now, you know how much I love being on the move. At one O’clock, she picked me up from school, quickly got me a change of clothes, handed me packed lunch and we hit the road. She tells me that driving on the superhighways is therapeutic for her. So we took the southern bypass that led us to a small town called Limuru. Obviously I was quite tired from school so I blacked out the whole journey, with food in my mouth. I woke up to find myself in this beautiful complex and as soon as we stepped out of the car, I was in toddler shoe heaven! 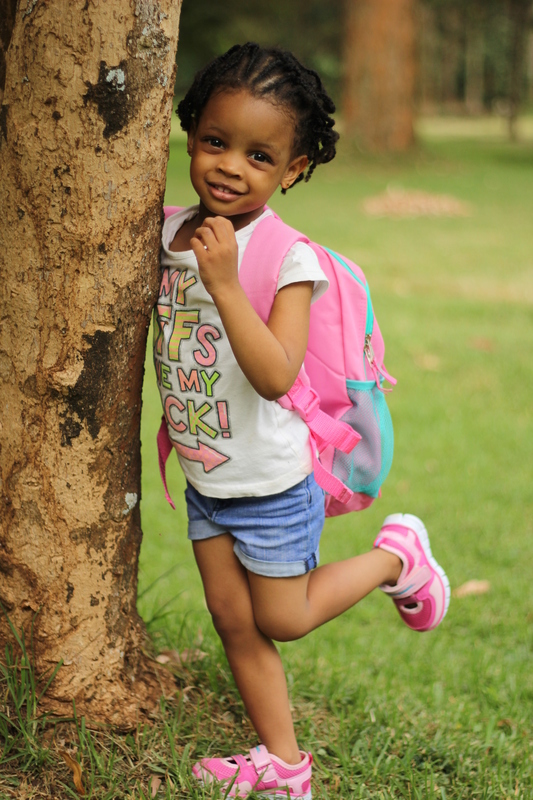 Toughees like what Neema wears to school, ngomas like mommy’s, chic and casual tomy shoes similar to aunty Terry’s, some interestingly looking boots called safari boots that mommy said would be great to wear at the park and the best part, bubblegummers in all my favourite colours! I had to share with you guys my new finds especially since mommy said they came at a bargain. 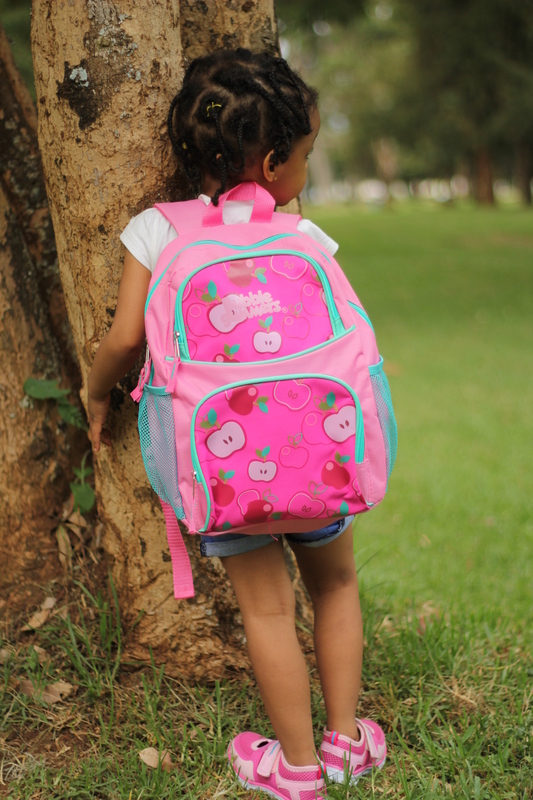 We paired this pink sporty pair of bubble gummers with a pink bubblegummers backpack that has more compartments than you will need in your entire life. If your mommy is always complaining about not having money and things being too expensive, then worry not. You don’t have to break the bank to get this look. What’s more, if you are within the environs of Limuru town, you can grab them at their factory outlet for a 15% discount. 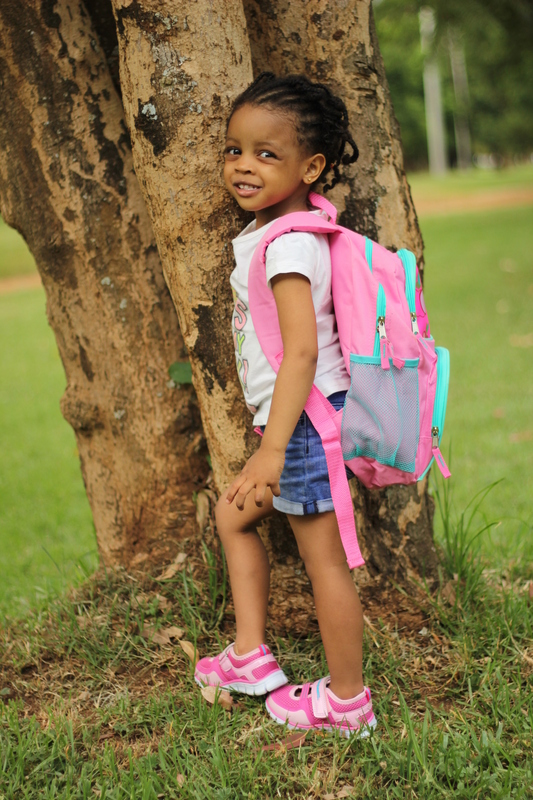 Girls, get your folks to upgrade your school bag during the holidays and be fearlessly fashionable when school resumes. Lord knows I needed another bag after dragging mine around for almost two years! And these shoes, they will most likely be stuck on my feet for the next couple of weeks! Hi Cutie,you look gorgeous in those bata shoes and always pretty.Been a silent follower ? and to be sincere,I love and admire your sense of fashion.Mummy doing a good job.Say hi to your lil sister Xia and please ask mummy to ship me boys bata shoes for my 6 month old son ?. Hey Mercy, I love my silent followers too, especially when they come out of the closet ?. Thank you loads for being here. The boys designs are equally awesome. Where are you based? Hahahaha out of the closet I am indeed?? ?.Am in Colorado springs,Colorado and can’t wait to get my boy bata shoes someday I loved them from way back when I was little and am glad my mom brought me a pair last Christmas when she visited us.Bata shoes rock ?? Thank you B and yes you better! Waoooh nice shoes little one and very proud of you. More doors for partnerships will open and I remember telling mummy last year to be hopefully. Keep the fashion moving baby!???‍❤️‍??‍❤️‍??‍❤️‍? Thank you so much for always being there for me and your prayers. From your lips to God’s ears, Amen! I have worn bata shoes for as long as I can remember. Right from nursery school till now. They never disappoint. Thanks for the heads up on the discount at their factory, will definitely drop by to grab some shoes for my son and my nephews. Hope boys shoes are equally as trendy. They definitely have amazing boys fashion as well Silvia and you know what, I will feature boys styles in the upcoming posts. Look out for them. Thanks for reading. Wow! 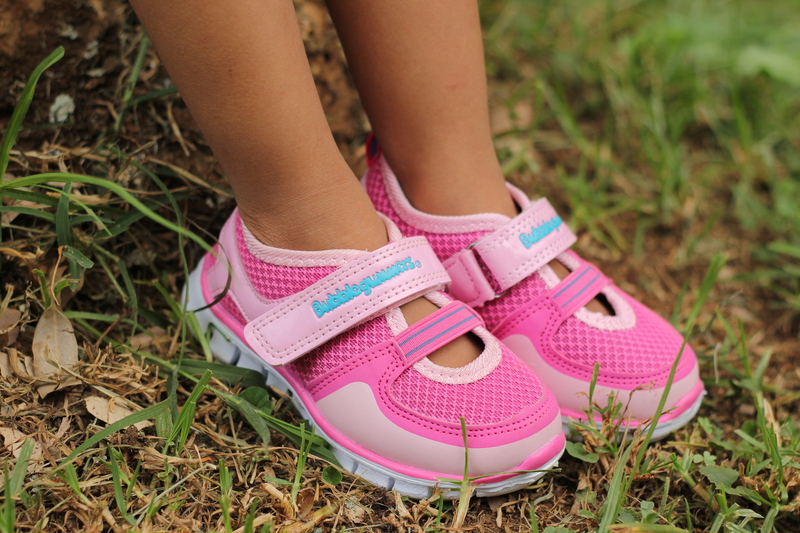 Bata is doing a good job…Shoes on flick Lilmissbelle! I rem my bubble gummers were just plain plastic, urs look so fancy. R they available in Mombasa, am sure my niece would love to have a pair. They are available in all stores and should she not get them, she can buy them from Jumia through the link provided. You know! There’s that aspect too, longevity. This post has brought back some good old memories, growing up BubbleGummers were my favourite shoes and now I cannot have enough of their Tomy Takkies the comfort is to die for. Thank you for the heads up, I will most definitely be visiting their factory with my Awesome girls. Bata Kenya thank you for keeping up with the times being so trendy and having something for everyone. You can say that again Nana! Here’s to being stylish ? 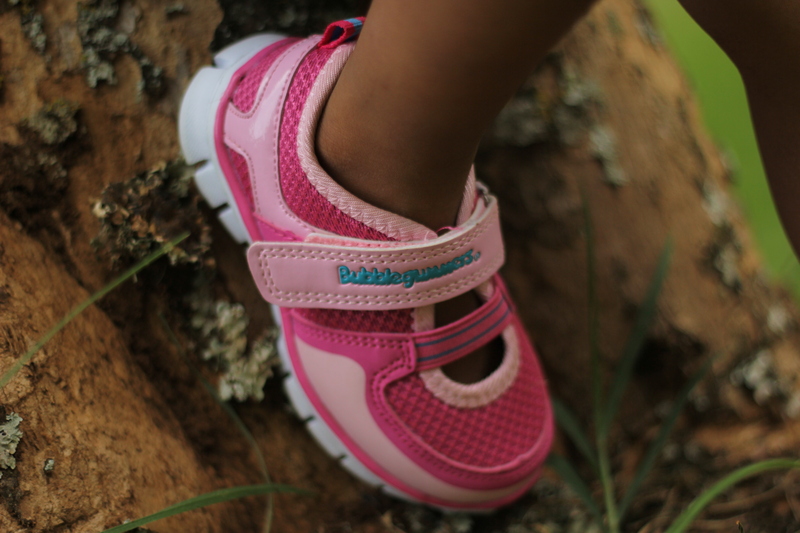 Who would have thought bubblegummers would be a generational shoe?? From out mothers to our daughters now..You never go wrong with them..Comfortable yet so trendy! !Zuri already owns a pair!! I love the fact that you can find a shoe for the infant who is learning how to walk, to the pops who wants a laid back look. Bata for life! Back in the day our bubble gummers were no where near the fancy scale yours ride on!!!!! !Too cool sweetheart,too cool.I bet Xia will wrestle them from you pretty soon.Love and blessings.And thank God for mummies right? I was spoilt for choice I tell you and mommy was going crazy! Thank God for Bata reinventing itself so we can all look fashionable without having to spend so much.Can’t remember the last time I was allowed to walk out of a store with more than one pair of shoe! Lala salama Mokeirah! Really cool shoes. Do they have the same colour and design for a 6 year old? Yes they do Renaldo. The shoe size runs from 6 to 10. Check the link to Jumia provided above or visit any Bata outlet. She will love the shoe! Thanks for reading. Bata is in my home town i would proudly say we never wore any other shoes other than bata shoes,i remember at some point when we were growing up we used to get free shoes from bata.i miss those days.Xena looks cute in those shoes i love. I had no idea one could get discounts at the factory, thanks for the heads up. I will definitely be making a trip there to buy my niece and son some pairs, they outgrow them so fast, I can’t keep up. Congratulations!! I like your progress. You’ll soon be the face of some fancy org. Thankks. I feel good indeed! Thank you Triza.I bet your daughter will give me a run for my money! Mommy got herself some Maringo canvas shoes at only 499 and ngomas for 300! And yes, in her days, Bata was the only go to place for quality school shoes and rubber shoes as they were called. Isn’t it amazing when a footear company prices their footwear so cheaply (for some designs) without compromising on the quality?